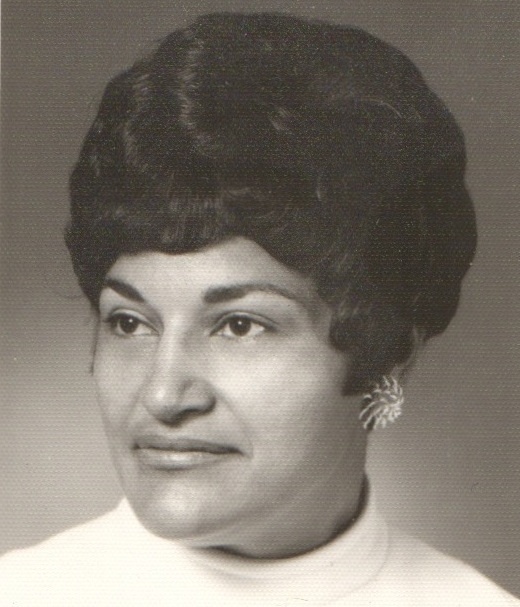 We lost my mother on June 23, 1995, and it’s still hard. But the things she used to say help every day. “It takes a bore to be bored.” I cannot recommend this too highly to parents of children with mild ADHD. It worked (and works) for me. “The distance from our house to theirs is the same as from their house to ours.” About friends who said I lived “too far away” when we moved to an uncool neighborhood. The more profound point, of course, was that friends should make equal effort. “Don’t worry about her behavior. Worry about your own.” Well, obviously. “Be nice to your sisters/cousins/friends/everyone.” Again, obviously. But boy, it’s hard sometimes. 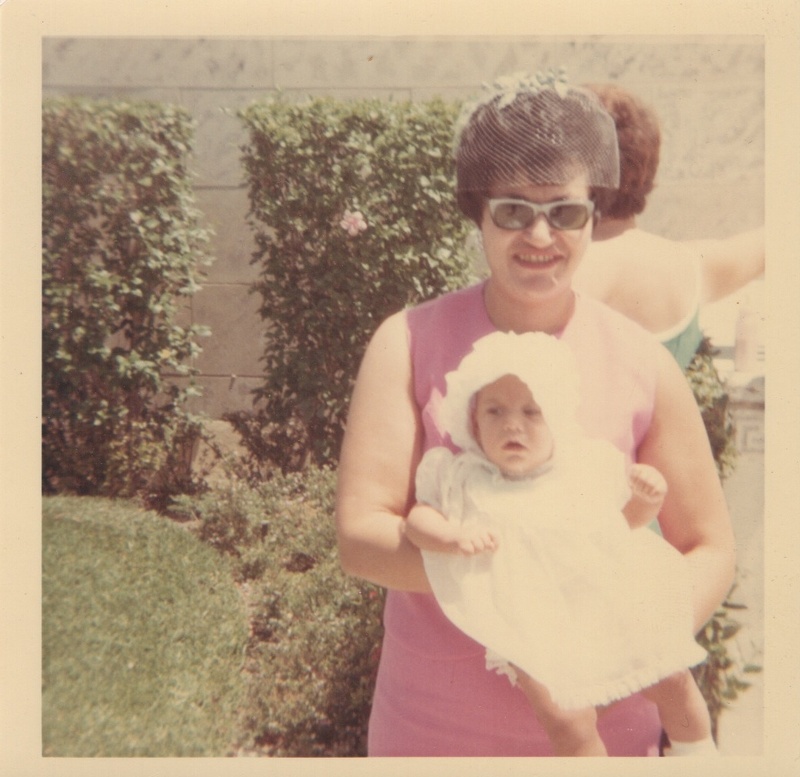 Then I remember how I never met anyone who thought my mother was not nice/kind/a great friend/a wonderful human being. And of course, they are all right. “I love you.” I love you, too. 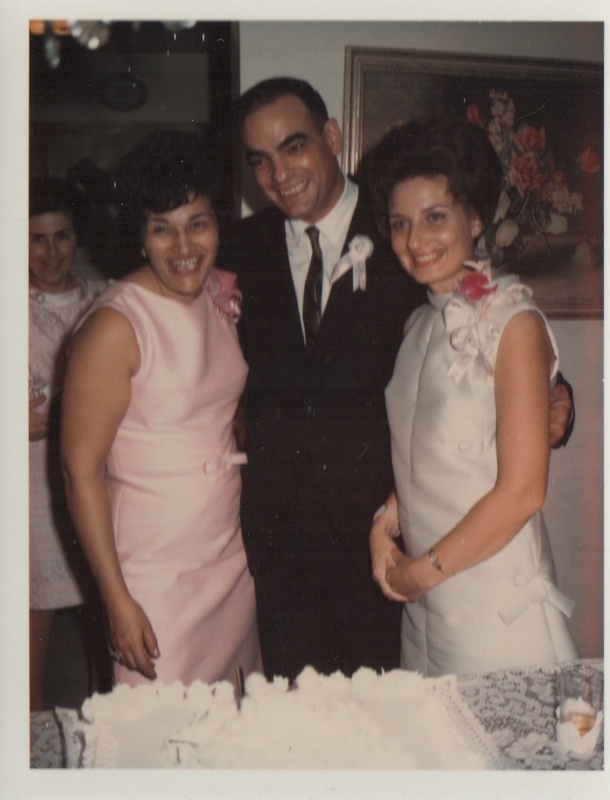 My mother with my Nono and Nona at the party for my Christening in 1967. 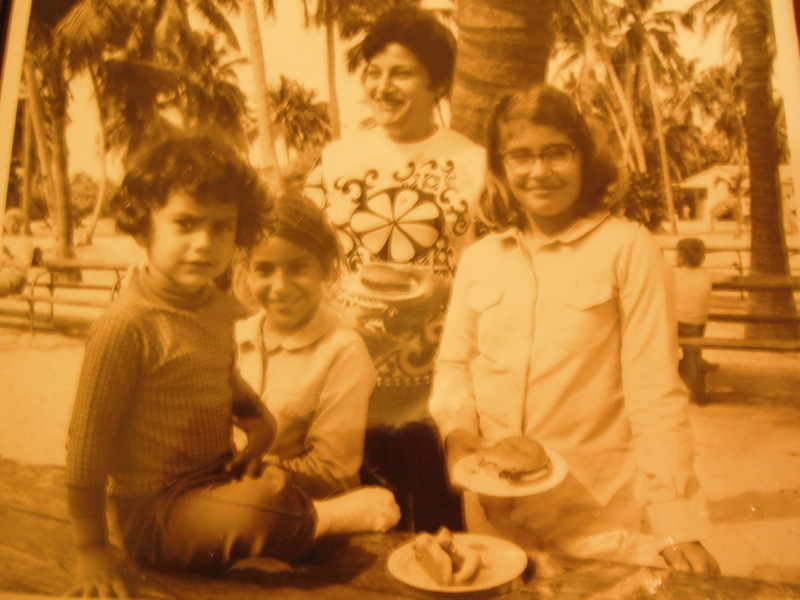 My mother, my sisters, and I – Matheson Hammock circa 1971. 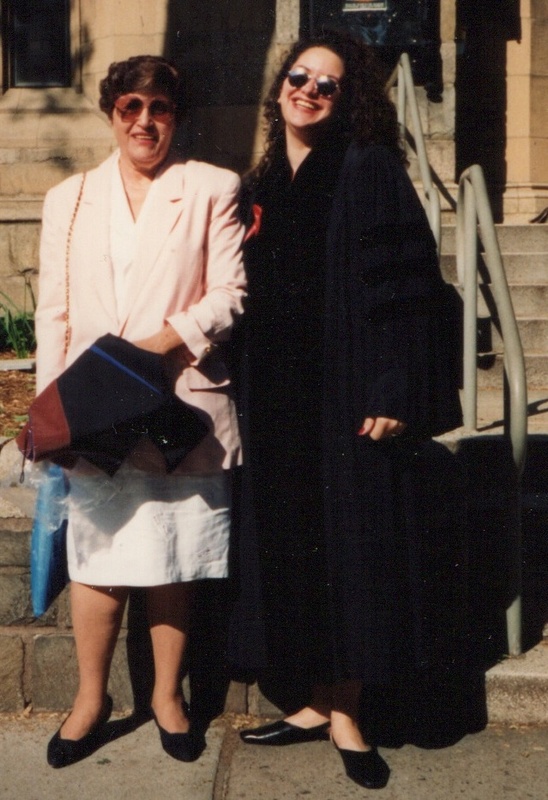 One of our last photos together…my mother and I at my YSD graduation – May, 1994. Yes, I know, I’ve already written about hating this day. (And actually, if you re-read that post now, this one might make more sense.) This year, though, I’ve finally been thinking about the impact of growing up without my (or a) father. Despite my uncles, my nono, my priest, and some great fathers I know now, I just recently admitted to myself that I feel like I missed something. And that I’m missing something. I’ve never really understood how to get along with men – especially those in positions of authority. And no, I don’t think this is solely a gender issue, at least not in my case. I believe there are skills I didn’t get growing up in a household of women, as much as I love those women. While I did have a stepfather briefly, for me, at least, it was not a good relationship, and frankly, I was happy when that marriage ended. So what now? One thing that I love, love, love, is spending time with my male friends who have kids – without exception, they are amazing fathers. And mostly, they are amazing men. (Well, really, they are all amazing men.) I’m thinking maybe this conversation about male authority figures is one I can have with some of them, assuming they’re willing. 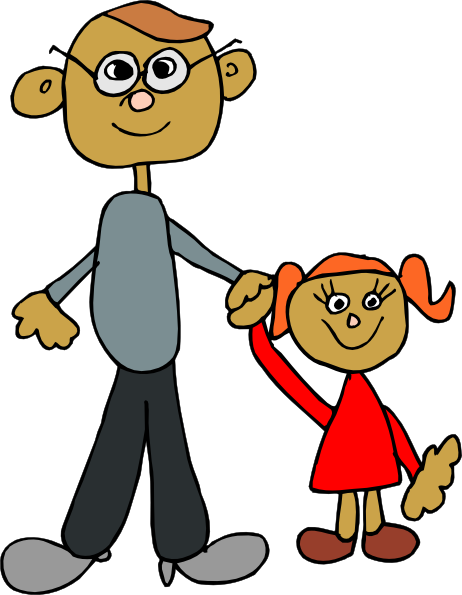 But for sure, the one thing I am not doing ever again is blaming myself for my father’s absence and what I missed. Oh, and by the way, if you’re now thinking of writing a comment about how this explains why I’m single, don’t. In fact, stop thinking that. Just stop. Now. Maybe it is, maybe it isn’t. But I would bet you’re basing that thought on an assumption that there is something about being single that requires explanation, while being in a relationship would be “normal” and not require such explanation. And you would be wrong.